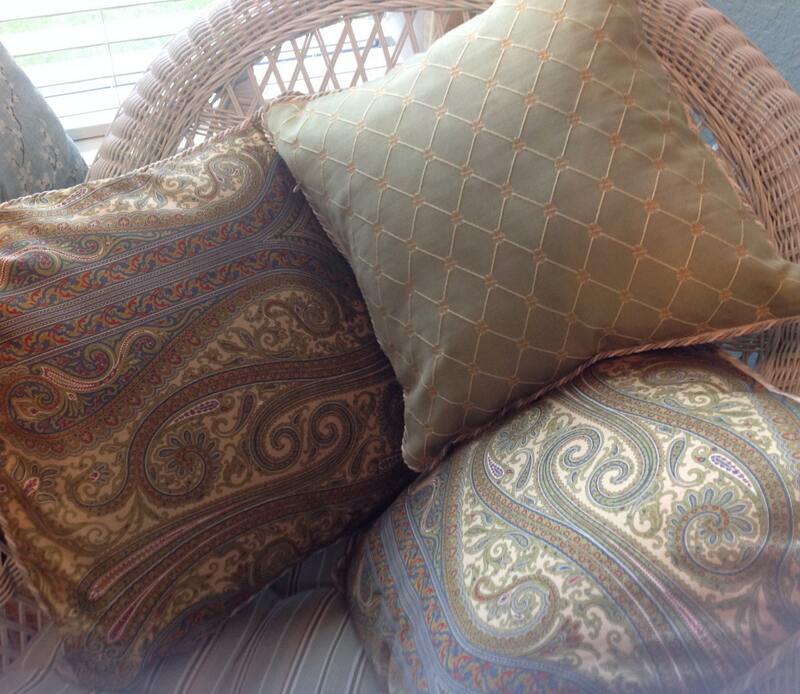 This is a beautiful group of three coordinating pillow covers. 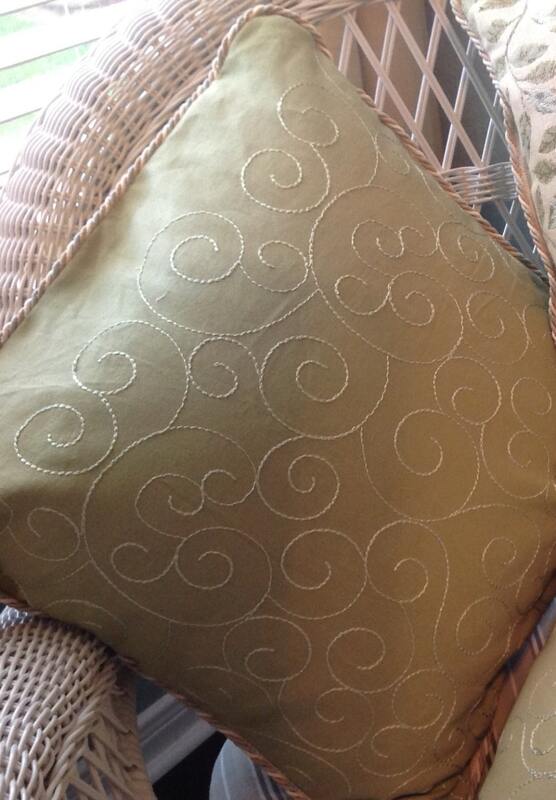 The size is 17" square with matching cream, green, and gold rope braid trim and cream zipper closures. 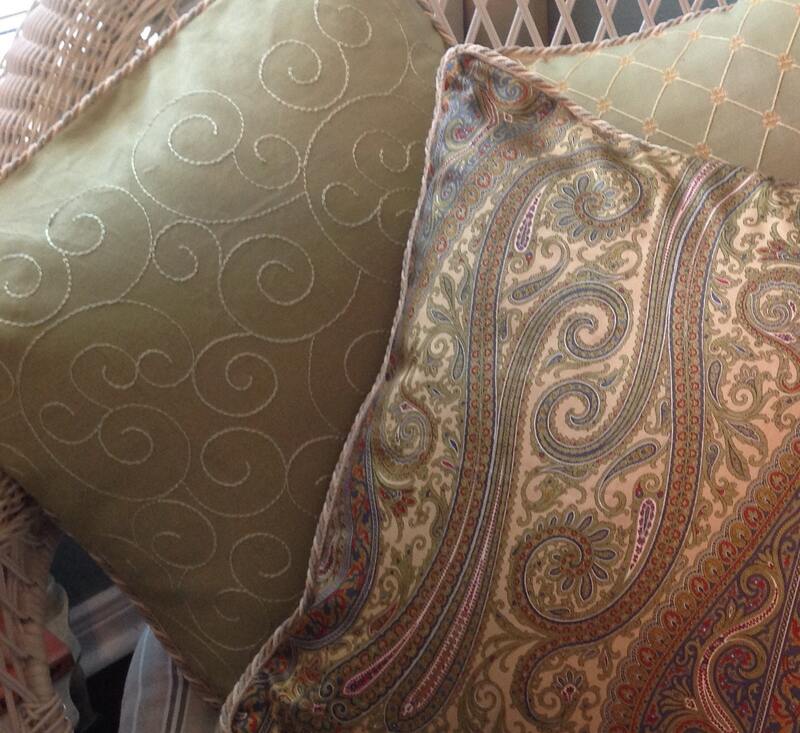 Two of the pillows have a green paisley front with a celery green and cream scroll material back. 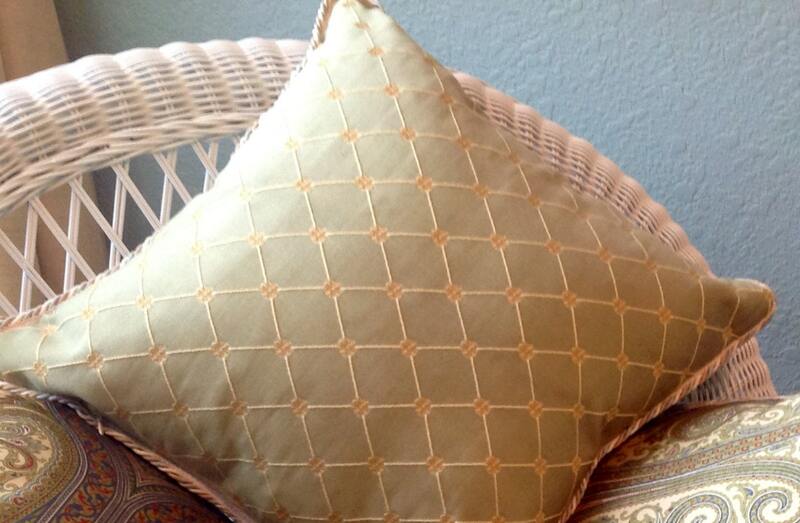 The other pillow in this group has a cream background with a green leaf print on the front and the back has cream diamond stitching on a summer green background with small gold flowers. These are a beautiful shade of soft summer green. They would be perfect to freshen up your living or bedroom for Spring. These pillow covers have cream invisible zipper closures. 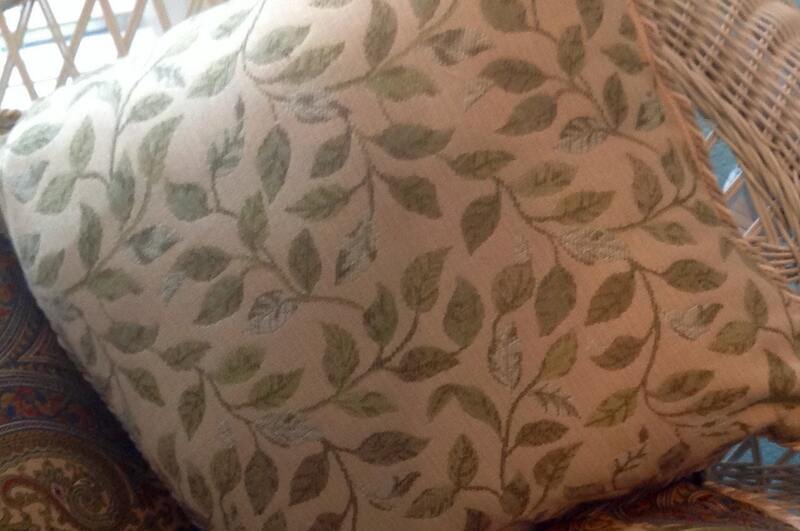 The fabric is mid upholstery weight fabric. I would recommend dry cleaning to keep the colors bright. Please select which covers you would like. This price is for one pillow cover.